The years you spend in college might be decisive regarding your whole future life, but are also one of the most beautiful and carefree periods in your life. There’s no guaranteed way to success, but sharing my college experiences might help you create the method that works perfectly for you. Colleges might be institutions of higher learning, but there’s no denying the fact that many of them are pervaded by a “party” atmosphere as well. If you’re a student, it’s only natural to want to explore as many facets of your newfound freedom as possible. However, if you don’t want alcohol to be a part of your college experience, there are plenty of ways to steer clear of it. Choose a dry campus. Many private colleges don’t allow any booze on campus at all, even if you’re of legal drinking age. While this rule is almost certainly broken on occasion, it provides you with an ironclad excuse should you be the victim of peer pressure. The more activities you’re involved in, the easier it will be to avoid the party scene. Most campuses provide a myriad of extracurricular activities, with some geared particularly toward new students. That being said, it’s not necessary for you to forego parties altogether; you have the right to a social life. Volunteer to be the designated driver, and sip whatever non-toxic nectar you prefer. Explore the area on the weekends. It’s a lot easier to get around when you’re sober–not to mention the fact that you’ll have more free time if you’re not spending Saturday and Sunday mornings sleeping off your latest bender. Find a local coffee shop or restaurant that you can see yourself frequenting, and chat with the staff about cool things to do nearby. These outings will give you something to look forward to during the week, and provide you with interesting topics of conversation when you head home for the holidays. Don’t cave in to peer pressure. Remember: You’re under no obligation to drink just because you’re in college. You’re an adult, and people should respect your personal choices. If anyone tries to give you a hard time about it, ask them directly why your sobriety is so threatening to them. If you’re underage, you might also remind them that you’d be breaking the law by taking a drink, and that whoever provided the hooch could be in for serious trouble. While some might scoff at your concerns, if they don’t respect your reasoning, they’re not worth your time. The truth is that there are no one methods that work for all students, neither is guaranteed that all the tips will suit your working style, but these are some general advice and direction proven to be rather useful for the majority of college people. Always remember that college isn’t sprinted running, but a marathon and is should be more than just passing exams with good grades. It is the time to build a strong foundation for your future career, to collect wide and rich knowledge, establish connections and maintain a social life and healthy living style. One of the most important things for successful college life is to be present and involved truly. Attending classes regularly will enable you to stay focused, to keep the pace, make a positive impression, present yourself as hardworking and responsible to professors and finally, it will easy your studying. This includes discipline and consistent working throughout the whole semester. 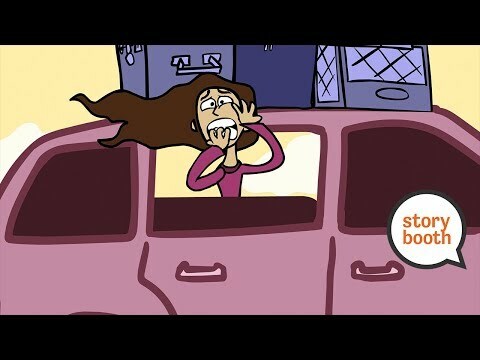 Avoid delaying, don’t use „last minute panic“ as a motivation to work and try to establish studying routine that will structure your average day. While in the classroom, stay focused, take notes, but don’t leave them laying on your desk. Go through it while studying. It will increase the pool of your absorbed knowledge and give you the preview of every professor’s teaching method and expectations. The college is an impressive resource of knowledge with all its libraries, writing centers, available courses and laboratories you are free to use aside regular classes. Add plenty of these activities to your studying schedule to improve your knowledge and achieve wide insight into the fields of your interest. Don’t limit yourself to the bare minimum of simple attending classes. Also, maintain regular relations with many colleagues to stay updated, get support and advice and lean od peer pressure effect while studying. Setting reasonable goals, sustaining solid organization of the day and keeping a balance between studying, social life and time for yourself is essential to avoid burnout syndrome and to create fulfilled life. Transferring from high school to college is a stressful and turbulent period for every teenager because this change exceeds simple change of educational institution. It is one of the most important decisions in life with the potential to determine your future path, but it is also accompanied by many other fluctuations, including emotional adaptations, typical for adolescence. Within all this stress and mess, many future students make banal, but significant mistakes when applying to college. Although consulting with professional is the best option, here are some my advice that helped me pass this phase successfully. You’re going to need application letter and essays that should be fulfilled properly and written in high quality. To avoid some obvious mistakes or neglect some wrong aspects, ask your teachers, college consultant or even parent to proofread these documents. I know you’ll be overwhelmed and stressed and in panic, but avoid completing required tasks right before the deadline. Sending application on the mere day you are due to will cut you off the chance to get feedback and notification about potentially missing documents or information. It will also present you as messy and lazy to the authorities. When fulfilling application, writing an essay and providing the college with information about your current educational achievements and interests, use every opportunity to describe your talents, skills, extracurricular activities. Neglecting this aspect might turn out to be missed the chance to stand out. These are your strong argument and a proof of your educational achievements, do not forget them. Also, avoid asking teachers to write you recommendations at the last minute, be on time and provide them enough time to write a quality letter. It’s for you own good. At the beginning of the college, the only thing I knew for sure was that I wanted to go through it successfully and that I was truly interested in many scientific fields, including some art. Honestly, I had some ideas, but in fact, I had no certain plan for my future and career. While being undeclared, I was perfectly aware that choosing major timely and making proper decision was crucial. Not only it had a potential to determine my whole career, but prolonging college time due to indecisiveness would cost me a lot. Here are some useful directions and tips you should use during the process of choosing your major. Studying hard will enable you to achieve good grades and be able to choose various majors and further career options. However, just because you can, it doesn’t mean you should go for some of them. The essential assignment you are faced with is to properly balance your skills, talents, and interests at one side with actual opportunities, benefits and academic options you have on the other side. Be honest and critical while analyzing yourself. Determine your dominant interest, your academic potential and skills, the areas you are good at and your strong professional traits. These aspects of your personality should guide you towards majors that require these characteristics. To get more than just an idea about the majors you’re interested in, sign into introductory courses to get a realistic impression. Consult your advisor for instructions, particularly regarding administrative and financial aspects, and test few majors to see if you get along with the topic and field. However, use elective credits to experience some completely different subjects, because you might discover some new areas you’ve never considered before as an option. Following your dreams, heart and inborn talents aren’t enough. 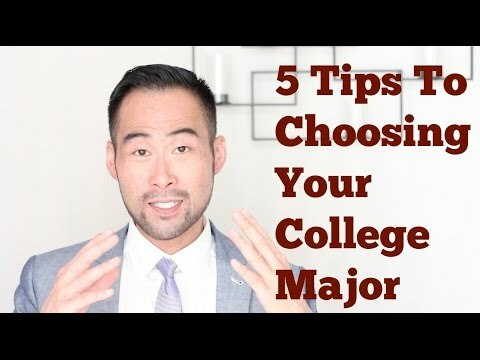 Once you’ve narrowed down the choice to few majors, determine the degree requirements and necessary courses for each of them and make sure to meet the required standards to be able to sign into the definite major. I’ll skip preaching about the importance of the right decision when choosing college and majors, as well as all the grandiose stories about its crucial influence onto your future life. This is true, but to survive college life, you should know some tricks about everyday routine over there and hear some useful tips about common issues before stepping into the academic world. All of us who had gone through college successfully had our troubling time with some of these things. Here are my experiences and honest directions. Rule number one is not to avoid them. Yup, it’s going to be tempting, there will be days when you’d pay to sleep more or simply hang around. Don’t. Maintain your discipline and keep the studying regular. Procrastination is expensive and stresses generating. Get to know each major thoroughly, before making any final decisions. Make sure you know exactly what each scientific field includes and requires and to sign into those that truly match your talents and skills. Buy books after the first class and keep in touch with your professors and other colleagues. Explore learning techniques until you find those that work best for you because techniques from high school might fail to work in college. There’s a saying that you can choose only two between studying, sleeping and partying. Train yourself to balance the day, to work first and play later and to maintain regular and sufficient sleeping. While away from home, you are your chef, thus try to eat healthily. Also, be rational with your money. College is expensive, stick to some realistic division of budget to avoid days when being broke completely. Time in college with inevitablз include various emotional and social turbulences. Prepare for complex relationships, breaking ups with sweethearts and friends, avoid hooking up with roommates and make sure to meet plenty of new people. Find ways to maintain your mental and emotional health as well as your physical one to prevent it from influencing your professional success.